﻿UNITED has found these books to foster an enriched life. Many things contribute to good health-cheerfulness, fresh air, exercise, diet, and positive relationships with other people, to name a few. Crucial also is a personal relationship with the Creator who gave us life and everything we need for health and happiness. 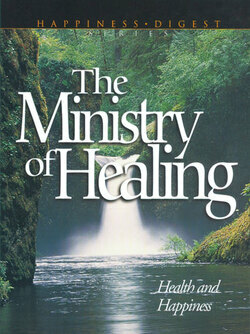 In this book Ellen White deals with sickness of the soul and the healing balm to be found by trusting God for all things, written in simple, beautiful language, Ministry of Healing will point you to a life full of joy and gladness-a life in touch with the Source of healing power. Encouragement, insight, and inspiration for Today's Christian Women. If you want to understand what the Scriptures have to say about your needs, your questions, your challenges, and your interests, the Women's Devotional Bible offers an inspiring alternative to other types of Bibles. A full year's worth of devotional readings written by Christian women for Christian women helps you grow in your spiritual life and encourages you as you live out your faith on a day-to-day basis. Along with the shock, fear and loss many women face upon a breast cancer diagnosis comes unexpected strength, wisdom, and strong networks of sharing, supporting, and healing. In Chicken Soup for the Breast Cancer Survivor's Soul, survivors and their family members talk openly about how difficult their fight with breast cancer has been and how they made it through the dark times with a belief in a higher power and the support of those closest to them. Those familiar with Bruce Wilkinson's breakthrough teaching on 1 Chronicles 4:10 know-offering the prayer of Jabez leads to the truly blessed life! Now you're ready to make that experience a life-long daily one In the Prayer of Jabez Devotional the founder of Walk Thru the Bible Ministries takes you even further in a personal encounter with God's extravagant best for you. Daily readings, inspiring quotes, practical suggestions, and problem-solving will enrich your resolve to take more territory for God. This guided mentoring experience is a personal thirty-one day spiritual resource to use with or without previous Prayer of Jabez publications. This phenomenal book shares the stories of sixty-two African American breast cancer survivors and discuss the high incidence of the disease among Black women and how to live with it. In Too Blessed to Be Stressed Dr.Suzan Johnson Cook shares her testament of faith and is living proof that stress doesn't have to stress you out. Dr.Cook uses her platform as the first female American Baptist pastor, a wife, a mother, as well as an appointee to President Clinton's initiative on Race and Reconciliation to point out that many changes in life will happen- both good and bad. There is one constant that we can count on in this change-the unchanging and constant nature of God. Dr.Cook provides stories and hymns to show that God has blessings prepared for each and every woman in their season of life. 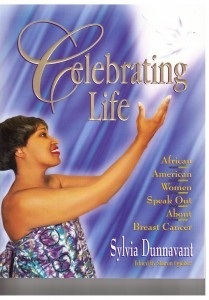 More than 600,000 copies of this best-selling promise book for women has been sold since its debut in 1997. Enjoy the words of best sell-authors such as Barbara Johnson, Luci Swindoll, Elisabeth Elliot, Liz Curtis Higgs, Gloria Gaither, Anne Ortlund, Joni Eareckson Tada, and Edith Schaeffer. Divided into eight sections, this promise book features a topical reading from an author on each right-handed page reinforced by Scripture and on each left-handed page.